Tuesday: 12 p.m. - 5 p.m.
Wednesday: 12 p.m. 5 p.m.
Do you have concerns that are getting in the way of your college success? 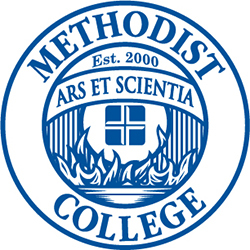 Free counseling with an onsite licensed clinical professional counselor is available to all Methodist College students during semesters of enrollment. Confidentiality is maintained and no information is released without the consent of the student. When appropriate, referrals can be made to other community resources. Students can determine for themselves if they would like to contact the counselor for an appointment. It is also possible for faculty, professional staff, and resident assistants to suggest to a student that a counseling/coaching session might be helpful. In the first appointment, the student identifies concerns and issues. Together, the counselor and student will set therapeutic goals for subsequent sessions. The number of subsequent sessions will vary depending on issues, goals, and student availability. Sessions can be face-to-face in Office W158, or they can be held by telephone in certain cases. Each student can receive up to 12 sessions per academic year and up to 24 total sessions. All contact with the counselor is kept in strict confidence. If the counselor and student think that it would be helpful to share any information with another health provider or family member, the student can choose to give permission by completing a Release of Information form. A minor child is at risk of being abused or neglected. A student the counselor is working with is at risk of serious injury to him/herself. A student the counselor is working with is threatening serious harm to another person. National Suicide Hotline: 1-800-273-8255. A trained helper is available 24 hours a day/7 days a week. Center for Prevention of Abuse: (309) 681-4111 or 1-800-559-7233. For victims of sexual assault or domestic violence. Emergency Response Service: (309) 671-8084. Trained helpers can transport a person who is actively suicidal.